The dynamic duo of Vicki (Mother) and Steph (Daughter) from Mother Daughter Projects are a pair of fearless DIY'ers that tackle anything from crafting, to at home tech to woodworking projects. The fun never stops with these two who are always moving on to the next big project. Vicki and Steph with Mother Daughter Projects have used Wall Control in a wide range of applications and have produced some outstanding content showing just how Wall Control wall-mounted storage and organization is done from the Laundry Room to the Garage. Be sure to check out their website, follow their Facebook page, and subscribe to their YouTube channel below for more outstanding content about Wall Control and any other project this dynamic duo tackles. 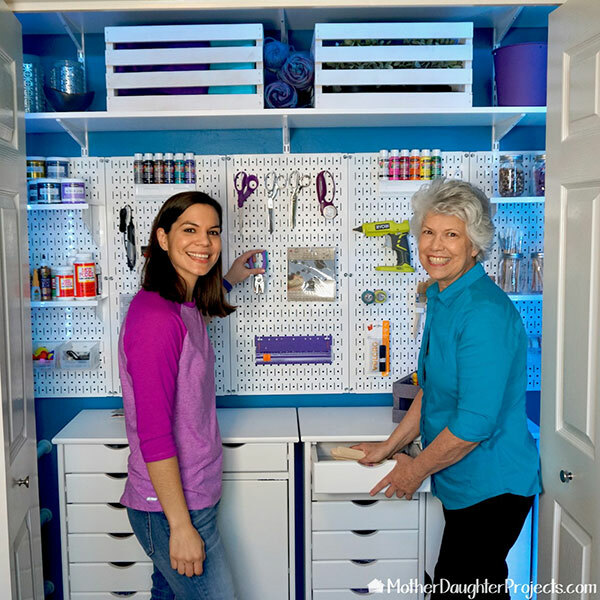 What Wall Control Pegboard Products are Vicki & Steph from Mother Daughter Projects Using?